In 2004, Jeremy Stoppelman and Russel Simmons, former PayPal employees (part of the famed ‘PayPal Mafia’ of entrepreneurs that includes Elon Musk and others ), reconnected at MRL Ventures, a business incubator founded by former PayPal co-founder Max Levchin. Their goal was to come up with a new consumer Internet concept, in particular something related to looking up local businesses online. That same summer, Stoppelman came down with the flu. He looked around online in an attempt to find a doctor, but all the information was pretty general and very unhelpful. He and Simmons started thinking about a way to combine social networking and reviews, eventually coming up with a service that let users ask their friends for recommendations on local businesses. And thus Yelp, the San Francisco-based social review site, was founded. The site, which started as, for all intents and purposes, “another site where people review restaurants and other local businesses,” has grown into something much more—a publicly traded company, a verb (“Yelp it”), and a passionate community. 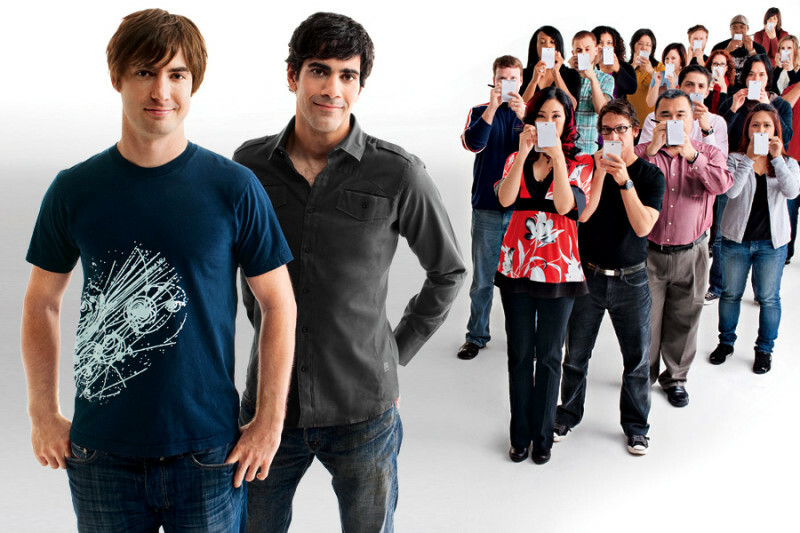 In 2012, Yelp opened on the New York Stock Exchange with a valuation of about $898 million. By September 30, 2013, they had accumulated 47 million reviews, with an average of 117 million monthly visitors, according to the company’s own numbers. When Yelp came on the scene, IAC’s local review site CitySearch was the dominant player, having been up and running for around a decade while accumulating over 112,000 restaurant reviews. Yet by early 2007, Yelp had left CitySearch in the dust. Between May 2007 and 2009, Yelp was averaging 52,274 new restaurant reviews per month, while CitySearch was averaging only 6,835. It was also in 2009 that Stoppelman entered into negotiation with Google, which was set to acquire Yelp for around $550 million plus earnouts. In December of that year, however, Google was notified that the “all-but-signed deal” was off. Despite much speculation over a competing offer, the company has remained independent, with a current market cap of $5.14 B. Since then, Stoppelman has been somewhat outspoken, using words like “antitrust” and “monopoly” when discussing Google’s dominance in the local search and review space. So, what was it that made Yelp take off? What made it different from other review sites that had been around for years prior (like Citysearch) or those with giant name recognition (like Yahoo Local)? Let’s take a look. Though the core idea was similar to several services already on the market—user submitted reviews of restaurants, cafes, shops, etc—Yelp did a few things differently, and it was these differences that fostered user engagement and helped Yelp to gain initial traction (for more about innovation, making something old new, and the 20% Rule, see Andrew Chen’s post on TTPMF). While earlier review sites sat and waited for anonymous reviews to come in, Yelp focused on building a network of reviewers with profiles, friends, and accolades. This was key to Yelp’s growth, because users are more likely to trust reviews from real people than anonymous internet strangers. Profiles gave anonymous reviews a name and a face, making them more trustworthy. A user looking for a recommendation could know that glowing review came from an actual patron and not the business’s owner, and a patron particularly satisfied (or dissatisfied) with a business could let others know. Having said that, however, it bears mentioning that some businesses actually specialize in writing fake reviews, and business owners or their friends have been known to write negative reviews for their competitors and glowing reviews for themselves as a means to “beat” Yelp’s system. While this has been an issue for quite some time, Yelp has improved their algorithm over the past couple of years in an attempt to solve this problem. It turns out that people really liked receiving recognition for their reviews of local businesses. They were more likely to write in-depth, well crafted reviews when their names appeared alongside them. Yelp leveraged this inherent user behavior, offering special recognition to users who are first to review a business, and letting other users give kudos for reviews that are useful, funny, or cool. The most engaged Yelp users are awarded “Elite” status. In addition to the Yelp Elite, the company designated particularly engaged users as Community Managers. These users worked to foster online and real-world engagement in their cities via event planning, reviewing businesses, writing newsletters, and more. 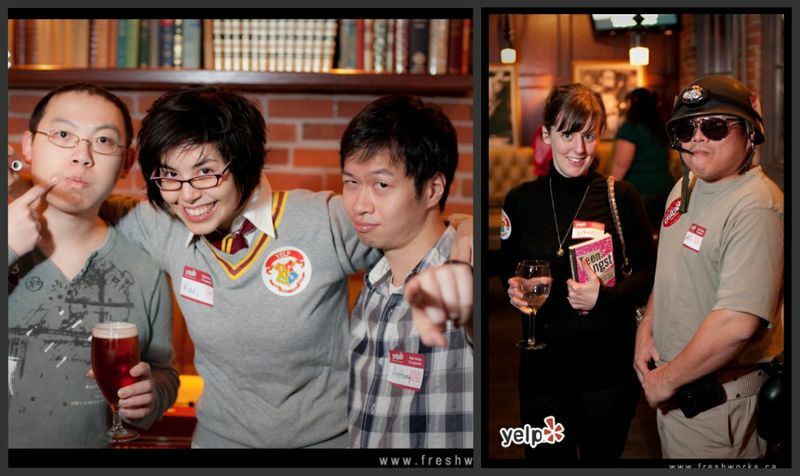 One of the most important traits for Yelp Community Managers was the ability to throw a party, and they did a great job throwing cool, exclusive events for Elites. These events fostered a sense of community among Elites and a sense of loyalty to Yelp as it expanded into new cities. The company emphasized to Elites the importance of their reviews, further reinforcing this sense of loyalty. Though it’s become somewhat easier, in the early days it was challenging to earn and maintain Elite status—users had to maintain both the quantity and the quality of their reviews. This ensured that both the Elite and those who wanted to achieve Elite status contributed a high volume of excellent reviews to Yelp. 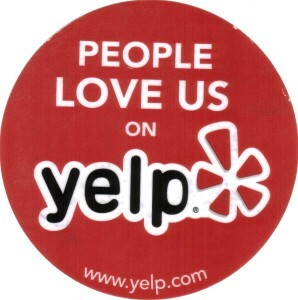 This combination—Elites driven to contribute high quality reviews and Community Managers who helped provide incentive and community validation and support for them to do so—is one of the major factors that helped Yelp to so quickly surpass CitySearch in both quality and quantity of reviews. This proved to be a smart move for Yelp, as Saul Hansell explains, “the new generation of Web workers took Yelp to be their entertainment bible, and that helped generate enough critical mass that others joined in.”  Once they had thoroughly exploded in the Bay Area, next came Los Angeles, Chicago, and New York. As early as 2008, Yelp had isolated a series of metrics that helped them determine which cities had grown enough to warrant a Community Manager—which, as we’ve already discussed, only served to further increase growth in those areas by fostering loyalty among the local Yelp community. Unlike Citysearch, which displayed professional reviews more prominently than normal user reviews, Yelp leveled the playing field by eschewing professional reviews altogether. They also put users before businesses, which helped to foster a friendly environment, encouraging users to contribute even more reviews. So long as they were within the guidelines, Yelp even made it difficult for businesses to have negative reviews taken down. This, in particular, created strife between Yelp and businesses, especially when those businesses had purchased ads from Yelp. While most companies in and outside of the review industry would bow to advertiser pressure to remove negative reviews, Yelp made it a point not to. Staying true to the users kept the community engaged and participating, while differentiating Yelp from other review services. Yelp became known as the place to get real, unfiltered information about local business. In addition to perks like Elite status, parties, and profile badges, the aforementioned joy of discovery fosters engagement with the community and creates instant loyalty to the product. Yelp was not only good at making something old new and delivering a fun service. It is perhaps as integral to their success that they also understood what users didn’t want, and the importance of pivoting to deliver what they did. The first version of the site, which came out in October 2004, encouraged users to ask friends for recommendations. Though people seemed to like the idea of recommendations and reviews from actual people, Stoppelman admits that the mechanism for requesting recommendations came off as “painful, noisy, spammy” , and users who actually needed the recommendation didn’t always get one—after all, how long can you wait for a doctor recommendation when you’re legitimately sick? So they pivoted the site toward sharing reviews, relaunching in February 2005. Stoppelman describes the difference as “night-and-day,” as users began to pour in to review local businesses. Yet another area in which Yelp has tried, failed, and moved on is paying for content. Early on, the company experimented with paying for reviews to help encourage activity in cities other than San Francisco, emulating competitors like InsiderPages and Judysbook by offering small compensation like $5 Starbucks or gas cards. Stoppelman says the result was, “relatively low quality participation from people that didn’t care all that much about Yelp.”  Thus, the company no longer pays “for reviews directly anywhere anymore” , choosing to focus on review quality over quantity, and letting the built-in social perks serve as incentive (more on those in just a minute). While all these factors continue to work together as Yelp’s growth engine, we can’t ignore a few more. There’s no denying that Yelp has made it easier for local spots, which couldn’t afford to out-spend chains when it came to advertising, to thrive based on word of mouth from happy customers. Stoppelman explains, “We’ve created a trust mechanism with Yelp. Customers can make the decision to patronize better businesses, and local businesses are able to compete with larger ones.”  The data backs this up. According to the Yelp Blog, Michael Anderson and Jeremy Magruder of UC Berkeley report that an extra half-star rating results in restaurants selling out 19% more frequently, from 30 to 49% of the time, and up to 27% more frequently when Yelp is one of the only sources of information about the business. Thus, as Yelp has increased in popularity, so has their authority as a local guide, meaning that yet another factor we must consider is how the positive relationship between a high Yelp rating and good business has led to restaurants actively promoting Yelp in order to gain positive reviews, further driving user engagement with the site. When people love a restaurant or establishment on Yelp, the businesses love to promote that fact. The “People Love Us on Yelp” stickers have become ubiquitous in the windows of small businesses everywhere, driving a positive cycle of marketing and awareness for the site. This is, of course, a double-edged sword, as negative reviews can definitely hurt smaller businesses as much as positive reviews can help, and Yelp has received criticism from business owners over the fairness of some reviews. In 2008, the company introduced a way for business owners to contact reviewers about their comments. Still, if users don’t respond, businesses can’t contact them again. Yelp has consistently made Search Engine Optimization a priority, consulting both Moz (from 2005 to 2007 ) and Distilled (two of the industry’s most respected search firms) on SEO. For starters, Yelp has a ton of high-quality reviews and in-depth profiles, all of which generate an endless supply of fresh, indexable content for Google. Yelp’s business pages are structured well for SEO. Yelp augmented this core content with their own, launching local blogs, city pages, user generated lists and other content all aimed at reaching more users through search. As with both YouTube and SlideShare, the embed feature can be a powerful traffic driver, and Yelp’s embeddable review widgets were no different. Businesses added the widgets feature to show off their Yelp ratings, and Yelp got a ton of links and great anchor text in return. It was a double win for Yelp, as their efforts ranked many business Yelp pages well above the business’s own page (and other directories) relationship was further reinforced as businesses learned that their Yelp pages were ranking above their actual business sites, which was an amazing selling point for Yelp’s sales team. The very first Yelp app was launched for iPhone in 2008. Since that time, mobile Yelp users have come to use the app for everything from finding local businesses—in particular, the “Nearby” feature means that a great cup of coffee or bite to eat is always within reach—to making reservations and appointments while out and about. Many businesses offer users who check in via Yelp promotional codes (like a free glass of wine or $5 off). And Yelp continues to invest in mobile. Finally, after five years, Yelp finally allowed reviews to be submitted direct from mobile devices in August 2013. The mobile explosion hasn’t just been good for user engagement—it has also meant increased ad revenue for Yelp. In the last quarter for which data is available, local ads on mobile devices made up 40% of Yelp’s overall local ad inventory, up from 25% just two quarters before. It’s worth noting that the company has received some criticism from businesses over its advertising policy, which they’ve addressed via their website. In addition to sponsored listings, Yelp sponsors can offer users coupons and daily deals such as a glass of wine on the house or $5 off the check. And while Yelp’s own version of daily deals (a la Groupon) started off strong, they were quietly deemphasized not too long after, most likely due to competition in the daily deals space. We hope that this analysis will be instructive for startups attempting to find traction in a market saturated with similar products or services. Yelp not only proves that it’s what you do differently that matters, but also that having guts—to pivot your entire company around a hidden feature and spurn a big buyout—can really pay off. I really enjoyed this article Morgan! Yelp is one of the few established companies that I could actually see myself working for. The main reason is that I love the transparency they bring to the world. The companies that deliver on the needs of customers (i.e. great food, reliable mechanic, fair plumber) and treat customers well - win. Who couldn't love that! I think the power of an extra star was a very interesting part of the article. The Michael Luca HBS quote seems to imply that an extra star increases sales by 5-9%. I couldn't help but wonder, is this a case of causation or correlation? I would argue that it's a bit of both. I'm a big believer in NPS (net promoter score) as a predictor of the success of a business. In fact, for most of the last few years, my entire direct public company investment portfolio was based on investing in the highest NPS score company in each business sector. The main reason being is that a customer's likelihood to recommend a company is a proxy for that company is doing everything else well. Even if they don't actually ever recommend the business, they are likely to remain a loyal customer if they "would" recommend the business. So a big part of the value of a high NPS is in your customer retention metrics. I believe that the Yelp star rating is essentially a public version of the NPS (a proxy for the business doing everything well). So this would already boost sales. But Yelp offers two additional important benefits. The first is that people are probably more honest with Yelp since it is a public endorsement (their reputation is on the line if they are not genuine). The second is that Yelp acts as an amplifier of the NPS. Unlike NPS that is largely a retention metric, a high Yelp rating actually helps people decide to try a service. 1. Their product management is awful. There are so many obvious product wins that have not been implemented. Most importantly the "if you like this place, check out these other places" dynamic. It would both solve the problem of not having much incentive to review places, *and* would make the consumer experience so much better. It would let them send me emails about new places I might like, it would help them get me to engage with my friends, etc. The idea is so obvious its insane it has not yet been done. 2. Their ads product is horrendous. If you have ever used their ads product as a business that actually wants to measure the ROI of the ad spend you'll quickly realize that the product seems to be designed around making that process nearly impossible. With Yelp you pay outrageous CPMs for ads that may or may not perform, but almost certainly do not. If it doesn't work for a sophisticated online internet business its certainly doesn't work for the mom and pop down the street. Their revenue model is only sustainable for as long as they can continue to pull the wool over the eyes of local businesses who pay way more money to Yelp than the value they get out of it at the end of the day. You make some great points. They're web product does seem to suffer from a lack of strong vision for it. It's a bit all over the place. Their best people definitely seemed focused on the mobile opportunity, which I think makes sense based on their business. But the fact that it took them five years to let people write reviews on mobile is a good indicator of how deliberate they are with features, which can create a tough environment to work in. On you point about pricing for ads. This is a symptom of all SMB-focused marketing. After working in the space for a few years selling a SMB-focused product I can tell you that it is a fine line between granularity that provides clarity to SMB owners and granularity that overwhelms and confuses. But I agree with you that in the SMB space there are very few players who let you see exactly what the return on investment is. The competitive landscape of SMB marketing services, which is full of bundled service packages that make it impossible to unpack the value of any given element, has created a market dynamic that definitely hurts the customer. As far as product management, the current product is a "must have" in my book. I would never go to a new restaurant without consulting Yelp. While I'm a bit of an outsider to the community, I believe their community is critical for making the business defensible. People seem proud to be part of Yelp. I really couldn't see someone being proud to call them self a Google reviewer. All that said, I think the business model side of Yelp is really tough. They aren't profitable and their revenue is very low relative to their $6B valuation. You can't just raise CPMs to make ends meet. Even small business advertisers will eventually be ROI focused (if they aren't already). But on the plus side, Yelp is a rare business that sits in the flow of visitor intent. Just this weekend I was searching for a local restaurant with soba noodles on the menu. Not only did I find a great place, I had an awesome adventure with my daughter. 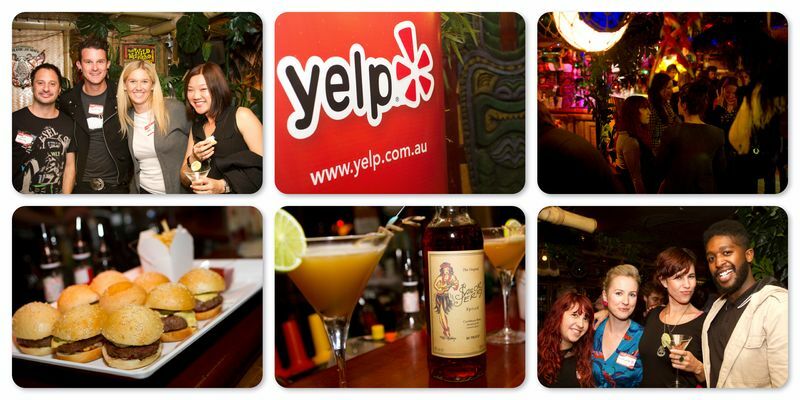 Yelp helped me satisfy my intent and ultimately was the means to an amazing experience. I think the $6B valuation might be a bit ahead of itself, but overall I think they are navigating the challenges of the business in a pretty impressive way. On the PM side, I agree that the current product is a "must have" and I also check it before going somewhere. However, I don't think must-have product is the same thing as a good product here. Yelp's "must have" nature is a result of it winning the network effects game of local reviews. They have the best reviews so they have the best "product." This doesn't necessarily mean the product is well designed and/or even close to the best it could be. Only very incompetent product management could screw up this advantage. One could make this very same argument about Craigslist as well. I would always check it when looking for apartments but it is most definitely NOT a great (or even good) product. Jamie - your points cover the two biggest issues I had with Yelp for a long time (both as a former local sales exec and as a user). Their web UI suffered from too many features with little visual prioritization for years - they only brought on the necessary UI talent a couple years back to fix it. It also took them an extraordinarily long time to add new features and it wasn’t from a lack of data. I agree with Sean’s response below, though, that Yelp is a “must have” product. I used either the Yelp web or mobile app 6 out of 7 days a week when I lived in San Francisco. I used it for everything - food, oil changes, doctors, haircuts, etc. I only stopped using it because I moved out of the country. With the ad product, I wasn’t a huge fan (which, ha, made it a bit hard to sell) because of a lack of data and how expensive it was. Advertisers were given the same page view bar chart that businesses with a free profile were given - the only difference was that the days after they started advertising were a different color. They have since added more data, but it’s still pretty light. Yet, I agree with Morgan’s point below on not overwhelming business owners with too much data. There are definitely those who could easily take on more, but they’re in the minority. A small anecdote - I called on a deli owner in 2008 in his early 30s. He was in San Francisco as it was starting to take the crown of the center of the tech world from Silicon Valley and he had never been on the Internet. With the ad rates, they were charging $150 CPMs to restaurants, bakeries, etc. when I was there - other businesses like doctors were much more expensive. Around the same time, there was a rumor that Linkedin was getting $75 for one of their products and this was big news in the internet advertising world. I agree with you here - it's incredibly expensive and I think the rates are even higher than when I was there. I see the validation/application of (at least) two related frameworks in the way Yelp works. Yelp found that offering small compensation like $5 Starbucks or gas cards" aka the last S (Stuff) did not work. They did find that conferring (elite) Status aka the first S, on its most engaged users spurred contributions. The article didnt point out if Yelp is doing anything with Access and Power, but it likely doesnt matter even if they aren't since Status is the number one motivator. Thanks Anuj! Great breakdown on the rewards element. I think that access and power come into play with the Yelp Elite. While status is the clear benefit, being in the Yelp Elite got you access to their epic parties, etc. I think they hit all the triggers, but the status element with the number of reviews, Yelp Elite, etc. is definitely the driving factor. Great article Morgan and Jon. I hadn't ever considered how Yelp helps small businesses compete against large chains, but it makes sense. A yelp rating is a powerful thing and it's definitely influenced many (maybe most) of my decisions when looking for new places to try. Very thorough write up! Please remove the reference to Sushi Zone though as I really like that place and it's gotten too popular. - Smart targeting of women in a time when that wasn't done...think about it from design, community, event, etc. perspectives. It was a different time in 2005/2006. Facebook was just coming up. - Mobile strategy can't be emphasized enough. Yelp was one of a few launching apps when Apple announced the AppStore. Even people I know who don't like Yelp (or may have developed the apps for forgotten competitors) will at least admit that they've consistently released a solid, reliable app, not only for iOS, but Android, Windows, Blackberry, etc. Yelp was a launching app on the couple week old Pebble watch AppStore. Great point about Yelp being early to Appstore - Yelp of all companies also released the iPhone's first augmented reality app with the Monocle easter egg. Great article Morgan and Jon! And interesting comments. - It's a must-have from a consumer perspective. - They've won in the network-effects-driven arena of consumer reviews of bricks and mortar businesses, largely thanks to how well they have fostered their community. - The business isn't making a ton of money at the moment, though. And not enough to justify their hefty valuation. Not knowing any more than this about the business than this, I'm sold on the idea that advertising is the best business model for them. Even before you get into details like CPMs and data, I just don't think advertising is additive to the core product, from either a consumer or a business perspective: if somewhere has good reviews, as a consumer how much extra weight do you give advertising from that business? and likewise as a business owner, if you have good reviews how much more is your ad gonna do for you. Similarly, if you have bad reviews an ad is not gonna save you. I liked Sean's point about the business value in being used at a moment consumers are showing intent. But I started thinking about the Belly case study (to which there are similarities), plus their mobile loyalty competitors. I think some model like that would make more sense for them than advertising. Maybe this is too close to their discounts product, which evidently they tried and failed with. But fundamentally there may be more value for businesses and consumers in monetizing by making it easy for businesses to incentivize first time visitors, and reward frequent visitors. Feels much more additive to the core product. I love YELP. It was nice to learn more about them being that I use their app every day. Great article! The one thing I wish they could improve upon is the algorithm for filtering reviews out. It seems so heavy handed. I know firsthand of legit reviews that get filtered. Another would be their high pressure tactics to get smbs to buy into their advertising platform. Other than that, I think they do a pretty good job and I am an active user. 3 years later, what do people think about Yelp's growth and what they should look to do from a product perspective?